If you are looking for simple contemporary style for your living room, you will love this three-piece occasional table set. 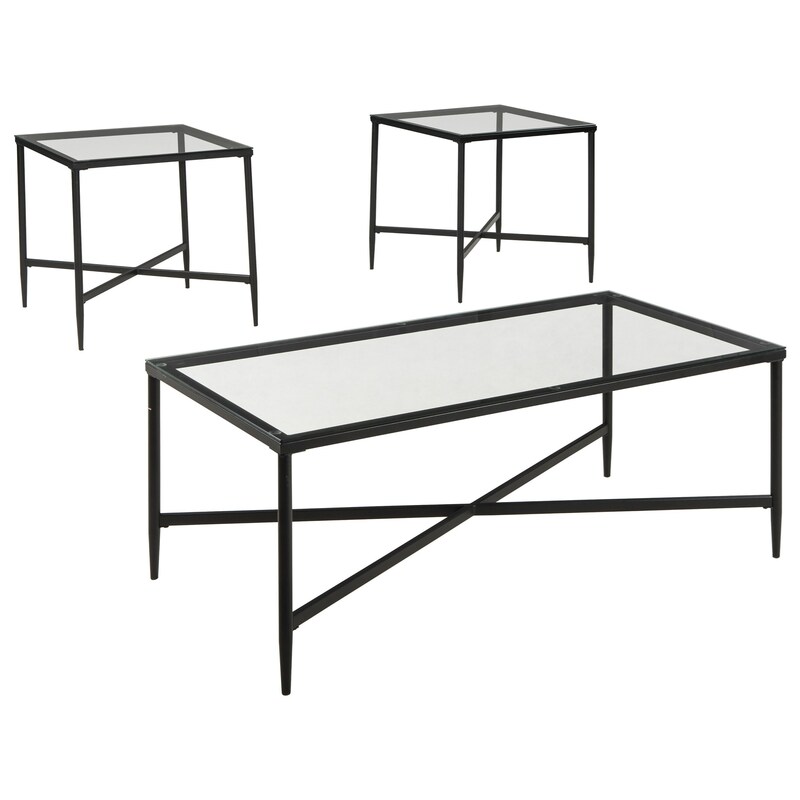 The rectangular cocktail table and two square end tables feature a black finish over tubular steel. Round legs with tapered ends are joined with an X-stretcher. Complete with clear tempered glass tops with polished edges, timeless style radiates from this three-piece occasional table set. The Augeron 3-Piece Metal & Glass Occasional Table Set by Signature Design by Ashley at Household Furniture in the El Paso & Horizon City, TX area. Product availability may vary. Contact us for the most current availability on this product.